When you partner with Lincoln County Vending, you'll be bringing nutritious, delicious foods to your workers so they don’t have to leave the building to get a snack or to quench their thirst. This means they won't be running off for lunch or break and won't be late coming back. They'll also be able to rest during the period, which is what breaks were meant for in the first place. 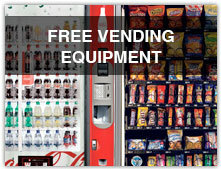 We install clean, reliable machines and maintain them at no charge to you. 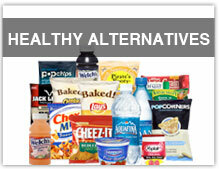 Every machine is stocked with a wide range of favorites including healthy snacks. 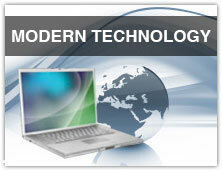 We have monthly scheduled service and a quick response time if something isn't working correctly. And, we offer a wide variety of subsidization offers that allow you to reduce the costs of particular items for your employees or clients. In addition to a wide range of beverage, snack and coffee machines, we also offer a huge selection of fresh and frozen foods. We have our own in house commissary that produces fresh sandwiches, subs, fruit cups, burritos and breakfast items. These items are delivered daily to ensure the freshest, healthiest products are always available. To see how we can bring added value to your campus, call us Toll Free at (866)955.8825 or Local: 931-438-8228. Our service area includes but not limited to: Fayetteville, Shelbyville, Tullahoma, Winchester, Manchester, Pulaski, Lewisburg, Murfreesboro, Columbia and Huntsville, AL.